Djenne and Djenne-Jeno "Crossroads of Culture"
For centuries, the upper Inland Niger Delta between Ségou and Mopti served as a major thoroughfare in the transaharan trade network, much of which was focused on the town of Djenné, built on an island at the head of the delta. 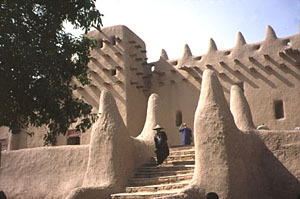 Though founded as a Bozo settlement sometime in the early ninth century, the city is now primarily Fulani. 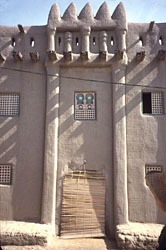 Djenné functioned as a waypoint between Timbuktu and gold centers to the south as well as support center for that city, provisioning it with much needed cereals and dried fish. Built in Classic Sudanic style, Djenné one of the most beautiful cities in Mali, and in the Sahel as a whole, its twelfth-century mosque (rebuilt in 1905) an architectural masterpiece. Unfortunately, the mosque is open only to Muslims; those of other faiths must simply admire it from outside. 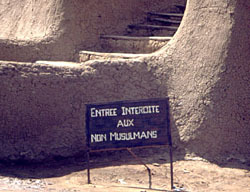 "Entry Forbidden to Non Muslims"
Today, Djenné continues to offer one of West Africa's most colorful markets--held on Monday--with merchants coming from throughout the region. The city is famed for its gold and silversmiths who make most of the ornate jewelry worn by Malian women, particularly the Fulani. I acquired several pieces from a local smith. 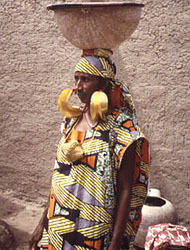 A Fulani woman of Mopti wears kwottenai kanye, large gold earrings given to her by her husband upon marriage. As such earrings may cost $2,000 to $4,000, a groom would have had to sell many head of cattle to afford them. Some women inherit such jewelry from their mothers. Several other mosques, including a small one with a distinctly Moroccan flavor with its Moorish facade decorated with inlaid stone, are within a few blocks of the market. Less than two miles to the southeast of Djenné lie the remains of Djenné-Jeno, a settlement that predates Djenné by more than a millennium. 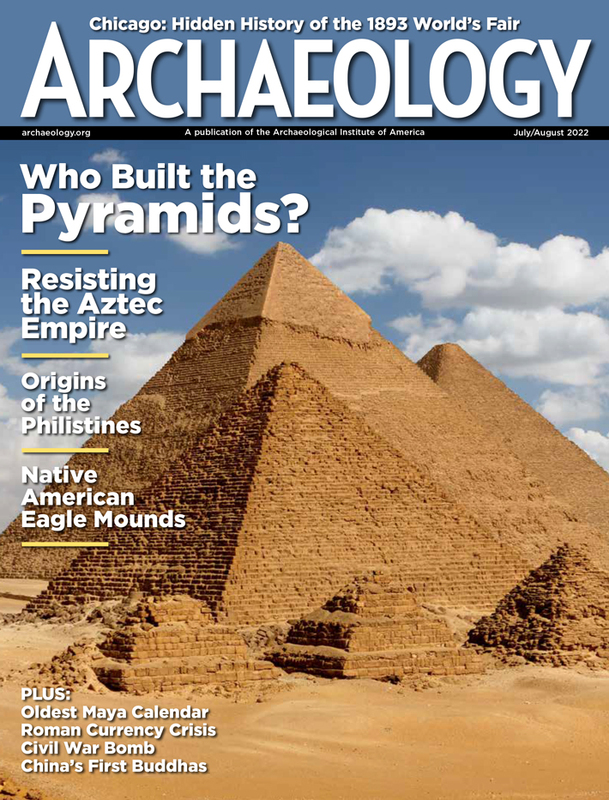 Systematic excavations undertaken by Roderick J. McIntosh and Susan Keech McIntosh of Rice University between 1977 and 1981 revealed an extensive trading center with remains spanning some 16 centuries, from ca. 200 B.C. to A.D. 1400. The earliest levels, some 20 feet below the surface, yielded traces of domesticated rice, sorghum, millet, and various swamp grasses, attesting extensive cultivation of the region. By the fifth century A.D., the settlement had grown to cover more than 60 acres. 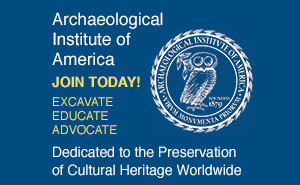 The town of Djenné and Djenné-Jeno, collectively, have been declared a UNESCO World Heritage Site.